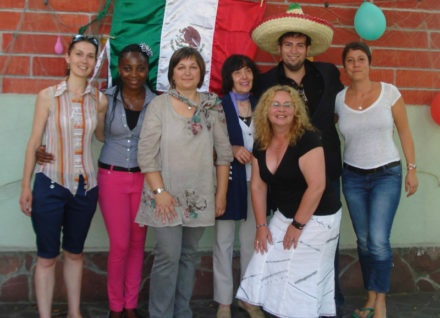 Cheerful mood, temperamental Mexican dances, delicious tortillas…. An awesome party!!! We miss you already, Alfredo! 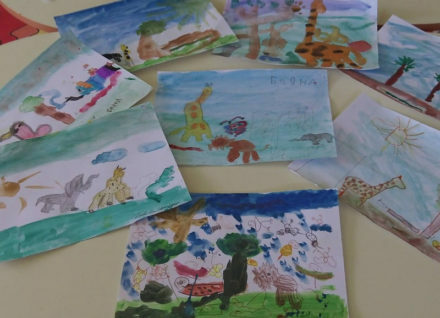 Mirabel spoke to the children about the jungle in Cameroon and Dumissani Karamanski gave valuable pieces of advice to the older ones how to draw it on the white sheet. “Welcome!” to Mirabel from Cameroon! 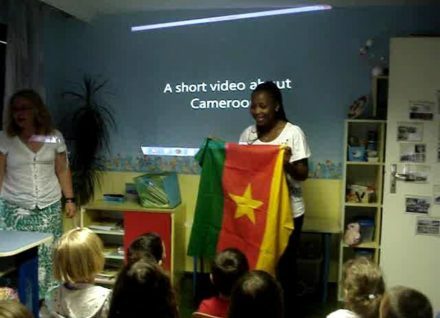 The exotic vacation at Nemo continues with our guest teacher Mirabel from Cameroon! We welcomed her with bread, honey, salt and plenty of smiles. She in turn made a short presentation about her country. Then we all hustled up some first steps under Cameroon rhythms. Welcome, Alfredo! We welcomed our guest teacher Alfredo Caldemon from Mexico with bread, salt, honey, music and plenty of smiles. For a third consecutive year Nemo welcomes trainees under an international student exchange programme. “English Language Vacation 2014” continues until 30 July.